So if you may have noticed, without me saying, last month marks my three year anniversary! My first review was posted March 21, 2016. This year I was just so unbelievably busy I didn’t get the chance to organize any festivities. But I asked on Twitter for questions to compile for my first ever real Q&A! Also I wanted to give something back to you all for following, so stay tuned for the giveaway! I can’t even believe it’s been that long y’all. As of when I’m writing this, I’ve posted 712 reviews and over 1,000 blog posts. In this time I’ve accumulated over 6k combined followers. I’m just flabbergasted y’all. I am really proud of the work I’ve put into this blog, interacting with you all, and developing relationships here. I cannot thank each and every one of you enough for the love, kindness, and support you all give me every day. But enough weeping, let’s answer some questions! These aren’t them all, because I got so many amazing questions! But I picked just about 10 of my favorite and feel free to leave more questions below to answer and I’ll respond there! I know I didn’t get to everyone’s questions, which is such a shame because there were so many amazing ones. Would any one be interested in a part two? Have your reading and blogging habits changed over the past three years? This question is from Twitter from Kate. This is so hard because over the last three years, I’ve completely changed how I thought about my blog. I used to be post once a week or so, and now I’ve gone to at least three days a week with three posts a day often times. So in the last three years I’ve transitioned more into seeing the blog as more of a serious commitment. I read books for the blog now, instead of the other way around. I never read books for fun really. I even listen to books and review it afterwards. To be honest, before I didn’t really either, but the pressure is definitely on now. Especially with reading, I have a reading schedule and I made a Trello board. So in both of these aspects I definitely think I’ve started to view my blog more seriously. Who are 5 characters you’d wanna have lunch with? This question is from Twitter from Fadwa. This is such a fan question. Me being me, I can only think of my most recent reads. I just want to have this bunch together and see what happens. I kind of wanna get together my recent favorite fantasy trouble makers. 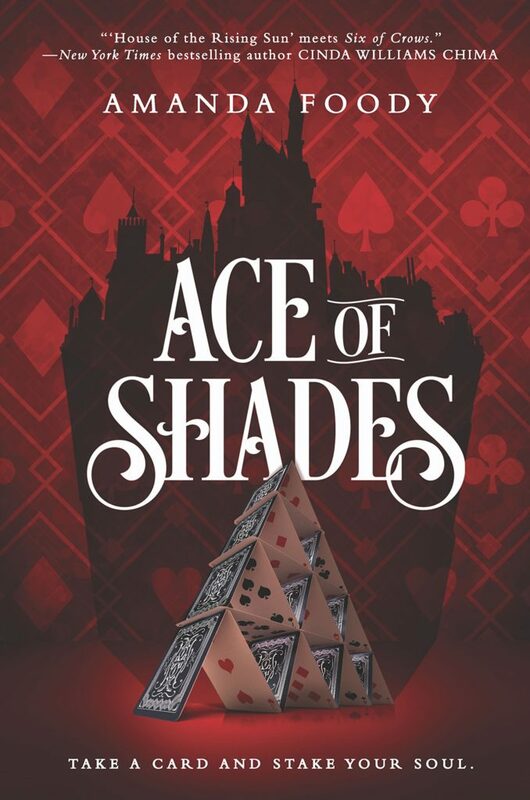 I’d love to have lunch with Lilian from Descendant of the Crane, Dara from The Fever King, Levi from Ace of Shades, Esha from The Tiger at Midnight, and Rielle from Kingsbane. From Nad on Twitter. Definitely the interactions I have on a daily basis on Instagram, Twitter, and comments on the blog. The community is the number one reason that I come back to blogging. 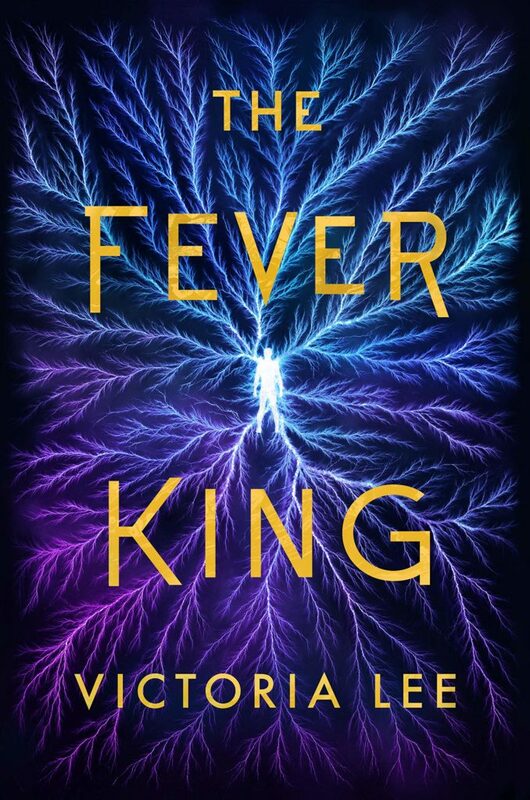 Sure, I love reading books so much, but what makes me feel connected are the relationships I’ve formed in the past three years. How do you fit blogging into your daily life? From Marie on Twitter. Oh, this is a difficult question. After being unemployed for a while, my blogging has taken over my daily life. I’ll read 4-5 hours a day, then spend a few hours scheduling Twitter posts, writing blog posts, and planning other content. Especially since I’ve taken up hand lettering and book quotes. On an average day, when I’m not eating, sleeping, or cooking/cleaning, I’m doing blogging stuff. If you could interview any author for the blog, who would you choose? From Sofia on Twitter. 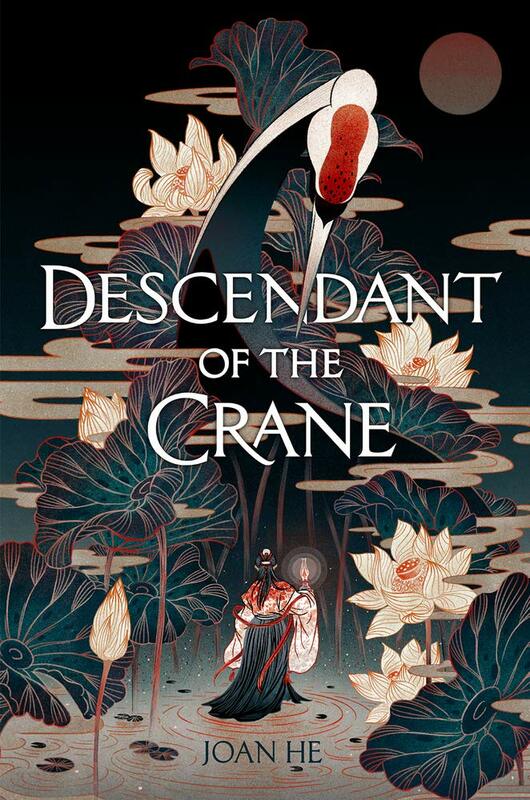 This may just be my own bias lately, but Joan He author of Descendant of the Crane. 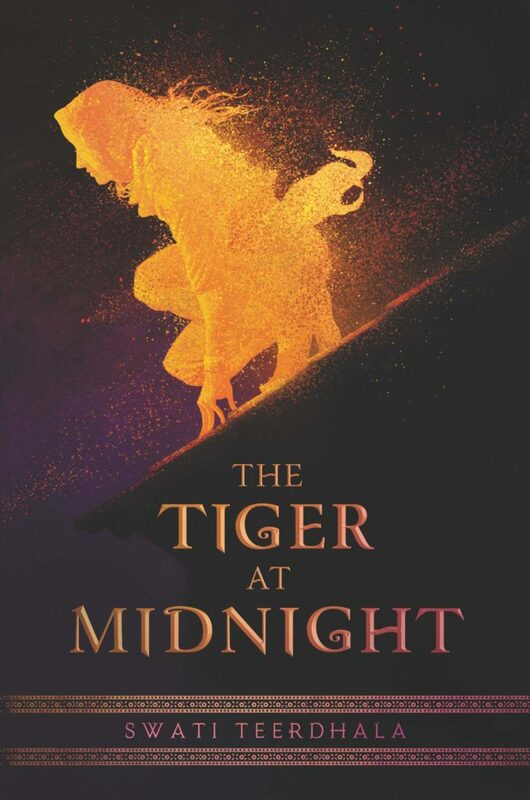 I’ve done about eight hand letters, I’m working on book makeup series inspired by this book, and I am on the Street Team. So can you tell I’m kind of obsessed? What’s a new blogging goal you have for yourself? From Tiffany on Twitter. Finding more balance with my non blogging life. Oh I could say that I’d love more Instagram followers, because I spend so much time on taking photos and what not, and that’s super discouraging for me. But the biggest, and most healthy thing I can do, is that I need to establish a better balance. I shouldn’t be so stressed and I want to cut down on the time I spend. But, most importantly I don’t want to feel so guilty when I let down. If you had to pick an animal to write all your blog posts, which animal would you pick and why? From Chloe on Twitter. This is such a cute question. If I said sloth, I’m not sure anything would ever get done on the schedule I want. Then again if I say a cat, my spirit animal, I’d spend time on Pinterest making pin boards, or just looking at pretty books and maybe not doing a lot of stuff. However, I’ve heard Ants are very diligent workers, so maybe an ant would get everything I need done? What’s the first book you reviewed for you blog? From Vicky on Twitter. HA! The first book I ever reviewed was Eat, Pray, Love. Can you even believe that? I also used to review a lot more SF/F magazines. 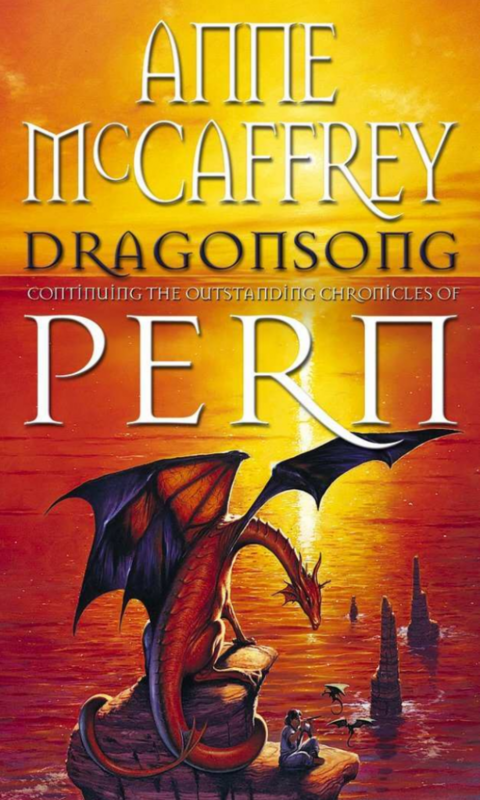 But my first ever YA review was Dragonsong by Anne McCaffrey. Talk about a book review that is badly formatted without any real links. Look at how far I’ve come with actual headers! If you could go back and do anything (about starting your blog) over differently, would you? From The Book Bratz on Twitter. I love this question. I think I would try to focus more on backlist books. I know that I used to because I had no choice, but I would try not to lose that focus. To realize it’s just as important as staying ‘on trend’. To have an appreciation for what came before, but also to make sure that I know about what exists. It’s one of my biggest regrets now that I don’t read as much backlist books as I’d like to. What childhood reads do you keep near and dear to your heart to this day? From Shri on Twitter. I’ll have to do a childhood home bookshelf tour one day! I know I posted pictures ages ago on Instagram. This is hard because I’ll have to do it from memory. But I was obsessed with Garth Nix Abhorsen trilogy. 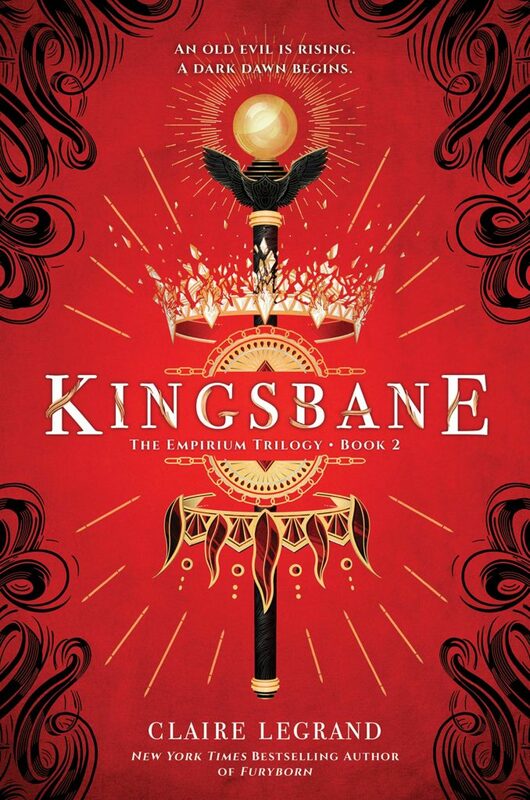 I own the trilogy in both covers – this inspired my cover love. I also adored the heck out of the Wild Magic Quartet by Tamora Pierce. I want to be able to give away a 2019/2020 Pre-Order of Your Choice! I think these are perfect because you can pick a book you are interested in. It’s open INTL as long as TBD ships to you! Giveaway ends April 21st! I really liked that you also mentioned reading backlist books. I definitely agree and relate to what you said about being kept up with the trend, but I also realize that there are a bunch of backlist books I haven’t even read! I can’t wait to see more of your blog posts as you and your blog continue to flourish~ HAPPY BLOGIVERSARY!! THANK YOU! I’m so happy that you submitted a question and that we’ve become better friends recently 🙂 It’s hard to balance anything haha, backlist books, arcs, life…. Thank you! I am glad I made it that long! It seems SO LONG! And thank you so much! I wish I could like give different ants different tasks, like the rats in Rataouille! Wow, three years is amazing! Congratulations Lili! I loved reading your answers to these questions and it’s really interesting to hear how your blogging habits have changed. I can’t believe you spend 4-5 hours per day on your blog – that’s incredible! I sometimes spend that long on my during the weekends, but I often get distracted by Twitter and Youtube! Fab post! Congrats on three years of blogging! 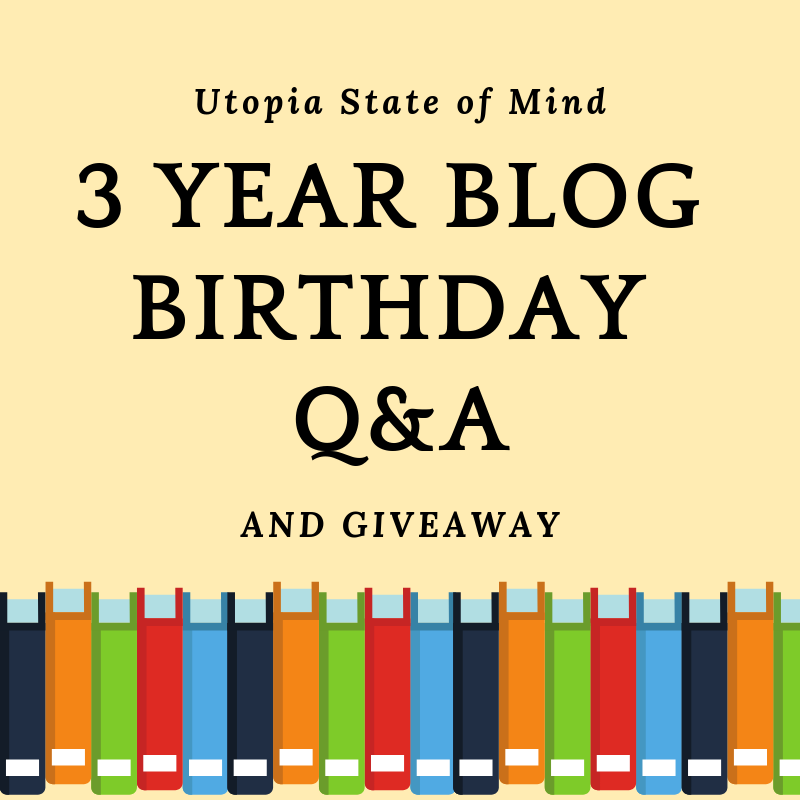 I love this idea of a Q&A for your celebration (and the question about an animal to do your blogging is adorable–I think an ant is a good choice!). I’ll be sure to let everyone know about your giveaway in my next Sunday Post! Thank you! Yes ants seemed like the very responsible choice lol. AND THANK YOU! That’s so amazing of you! Congratulations on the three years! I reached my tenth bloggerversary last month – the years go by so fast! I love this Q&A post, it’s so clever. I really struggled with what to do to celebrate my tenth, having had nine previous celebrations. I might keep this in mind for a future celebratory post. Thank you! Oh wow that is SO IMPRESSIVE! Congratulations you! Thank you and thank YOU for entering! I LOVE your picks for my question, I only know the first three characters but I wholeheartedly approve!!! If you read them we can yell about them all the time!!! Congratulations on three years! I love your blog because you post so many excellent reviews. I can’t even imagine the amount of work you put in for us! I wish you many more years of loving to read and reviewing books for your blog. Thank you so much!! It’s felt both like a long time and no time at all!